Having revealed the current phones which emit the most radiation, this piece looks at the opposite end of the scale. 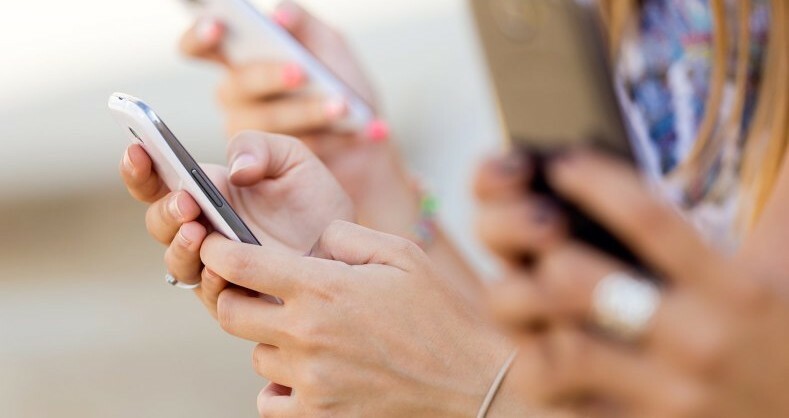 While conclusive longitudinal research on the effects of cell phone radiation is still hard to come by, for those looking to minimize the risks, this list may be useful. 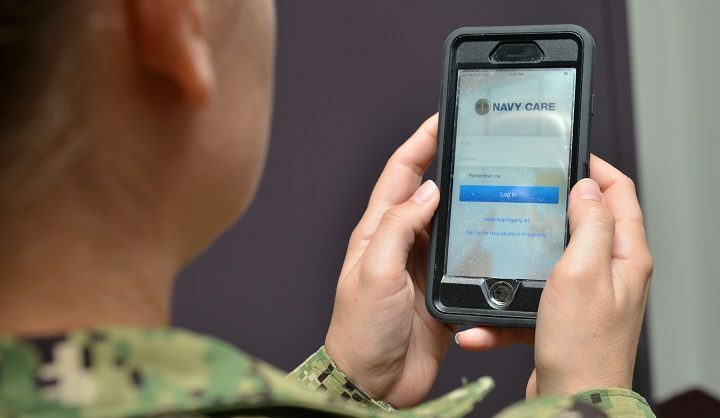 The German Federal Office for Radiation Protection (Bundesamt für Strahlenschutz) has a comprehensive database of smartphones – new and old – and the level of radiation they emit when held to the ear during a call. 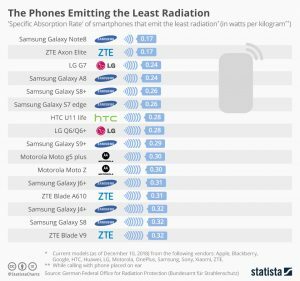 Following the criteria set for this chart (see footnotes), the smartphone creating the lowest level of radiation is the Samsung Galaxy Note8 – with a specific absorption rate of 0.17 watts per kilogram. In fact, Samsung handsets feature prominently, with half of the top ten coming from the South Korean company. This contrasts starkly with their major rival Apple. Two iPhones occupy a place in the list of phones which emit the most radiation, compared to none from Samsung. While there is no universal guideline for a ‘safe’ level of phone radiation, the German certification for environmental friendliness ‘Der Blaue Engel’ (Blue Angel) only certifies phones which have a specific absorption rate of less than 0.60 watts per kilogram. All of the phones featured here are well under this benchmark.